Congrats on your Tunetot’s! I’m sure they are very fine loudspeakers. But I find it hard to believe they could compete with a properly set up pair of Alexia’s. I have never seen a pair of Alexia’s on a shelf or sitting on a desk. FYI Mike Sasha 2 has not been in the Wilson lineup since the end of October 2018. Sasha DAW replaced it and debuted at that time. 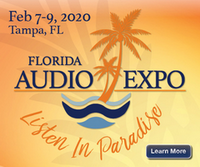 Sasha DAW was also at the Florida Audio Expo with Audio Advisors. that is somewhat the point. this is the FIRST HI END DESKTOP speaker, so, however experienced you are, you have to rethink. its not a bookshelf speaker, it doesnt sound good as this. its ONLY application is DESKTOP! ist not a speaker for two, ist only for you sitting in the sweet spot. the sweet spot is small, very small…...dont move your head more that 10 cm....outside of this it sounds full, but boring&meaningless. the positioning is very important, again, desktop only and the distance small. the triangle between speaker and head is max. 1,2m. this is really max., more sounds not good. this speaker needed 2 month to break in, the difference is dramatic. you do need the isobase for 2k or something else to put the tunetots on it. i tryed some harmonix feets and they did it too. spikes direct is no good. well, everything done as good as i could, it sounds really good from top to bottom in a very pleasant way. very holographic, very intim somehow. its a big speaker….considering how close you are. however the desk is top. my story is i had a big system and did nearly never listen to it....no, instead (as i work at my desktop) i listened a lot, daily Hours, with some logitechs (Price 70 dollars). and also yes, i prefer the tunetots over the logitechs. a good replacement. Thanks. I never really got a chance to hear it. i know the alexia pretty well. heard it in several different rooms and shows, a friend owns it and the distributor did a demo in my home also. a very good speaker, sure. still it didnt involve me too much….everything sounds like jazz and i am not into jazz. i really do enjoy the tunetots more, no question. alexia2 is a very different speaker than alexia1. my dealer has the nr2 and yes, yes, they are absolutely wow.....just couldnt afford them. i might come across a little weird, my english isnt the best and sorry, certainly dont want to offend any alexia owners. ist just a personal preference...or maybe a personal preference of the application….nearfield it is. just had a look at the "Harbeth P3ESR 40th Anniversary" that mike has mentioned. well, i dont know them. @mike, i really think you have not had the chance yet to explore the full capacity of the tunetots. hard to imagine that this would be possible at shows. at my dealers place for example they do not sound good. they are bookshelfed. hard to belive at shows they offer you that one little sweetspot. anything else than sweetspot at dektop is nonesens. i really tried a LOT!